As a guitarist you don’t always have the time to create your drum patterns to accompany your riffs ideas or work on your technique. Our artistic team has designed especially for you an exclusive package including 20 drum patterns free to download. You’ll be able to use these drum parts to create your backtracks, set up your workout sessions or try news things on your own songs. Want an extra gift? Download 42 guitar presets for free here, here and here. GP6 Lesson – A drummer at home, how is that possible? Thank you very much! This pack is very good for me. Hi Brad, have you unzipped the file first? Feel free to contact our support if you need assistance: https://support.guitar-pro.com/hc/en-us/requests/new. Thanks! Would be nice to write in Wich folder of Guitar pro we can unzip it pls. Thank you. Looks like a lot of fun. Tumerparpaartut nuannivipput. Nice to hear drum sounds. Thanks for the gift. !!! 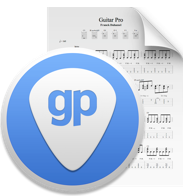 Gostaria de receber gratuitamente tabs para guitar pro 6. Muito obrigado. Los invito a crear una cuenta en http://www.mysongbook.com. Puede acceder a una partición gratuita todos los días. Hay también en nuestro blog. Gracias. Waiting for bass patterns! Thanks so much! Incredibly useful. Keep them coming! A few additional 12:8 slow blues variations would be nice. Hopefully it would have some Guitar presets for GP7-7.5, soon. Can’t wait to get some presets for my Metal songs. However, if anyone knows where I could get some presets, I’d be grateful if he/she tells me. There are over 700 signature sounds available in Guitar Pro 7. They allow you to reproduce the rigs and sound settings of the greatest guitar players, such as David Gilmour, Jimi Hendrix, Slash, Van Halen, and more. Use them to improve the sound of your own Guitar Pro files, or plug your guitar into your computer and start playing using Guitar Pro 7 presets!